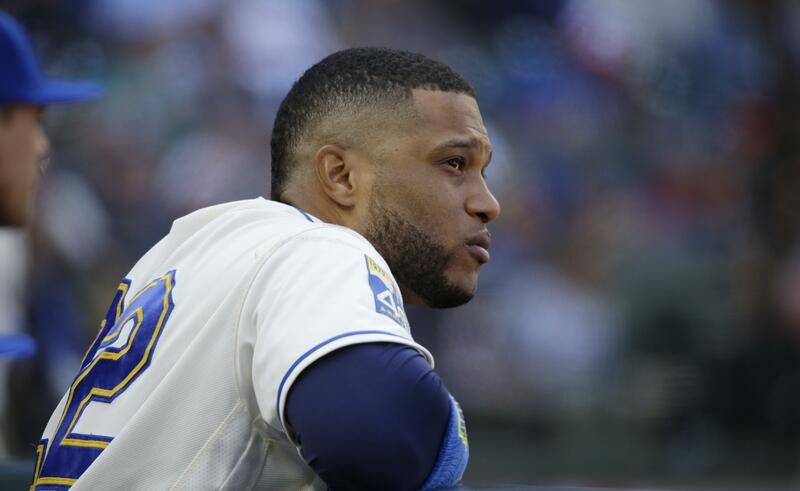 UPDATED: Sat., July 7, 2018, 7:45 p.m.
Robinson Cano said he didn’t want to be a distraction. So he sat in “The Legends” conference room in the upper levels of the Mariners’ offices at Safeco Field on Saturday, meeting with a small group of reporters that regularly covers the team for the first time since being suspended 80 games in mid-May for violating Major League Baseball’s drug-testing policy. It was assuredly more difficult for the eight-time All-Star second baseman than facing Aroldis Chapman throwing 105 mph in the ninth inning. Cano, 35, tested positive for Furosemide during the offseason, a diuretic that masks the effects of performance-enhancing drugs. He was suspended by MLB but appealed, claiming the drug was prescribed for high blood pressure. He dropped the appeal just before suffering a broken right hand when hit by a pitch May 13 in Detroit. The hand healed, he plans to head home to the Dominican to begin work at his father’s baseball facility, where he will face live pitching. He’ll be eligible for a minor-league rehabilitation assignment starting Aug. 1 and can return to the Mariners on Aug. 14, though he would be ineligible should the Mariners reach the postseason for the first time since 2001, the longest current drought in the four major professional sports. The Mariners were 23-17 when Cano was sidelined/suspended. The chances were greater they’d sink to the depths of the American League West than not. But manager Scott Servais called a brief team meeting the next day. With a roster that seemingly has produced a different hero every day, the Mariners are 33-17 without Cano. Dee Gordon has moved from center field to play Gold Glove-caliber defense at second base, Nelson Cruz has become healthy after spraining his ankle on the dugout steps on the season’s opening weekend and Mitch Haniger is among the league leaders in RBIs. The starting rotation has been stellar, save perhaps for Felix Hernandez, and closer Edwin Diaz is on a record-setting pace. All without Cano, whose infectious smile and clutch play always seemed to make up for his lack of hustle down the first-base line after hitting a groundball. Cano was asked about his legacy. Seemingly a shoo-in for the Hall of Fame, his place in Cooperstown is now in doubt as the Baseball Writers Association of America, which votes for the inductees, has thus far avoided voting in any players associated with performance-enhancing drugs. After playing host to the Los Angeles Angels and Colorado Rockies in three-game series this week, the Mariners will return the favor after an off day Monday, traveling to Anaheim and then Denver before the All-Star break. Published: July 7, 2018, 6:42 p.m. Updated: July 7, 2018, 7:45 p.m.